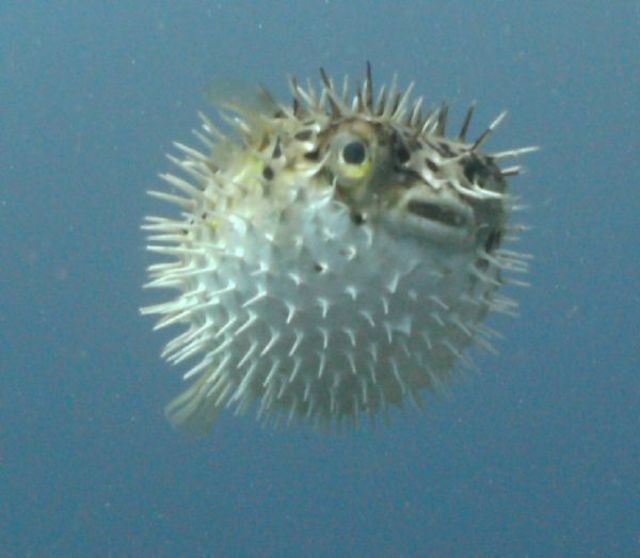 Any of several types of spiny blowfish or pufferfish that inflate and expand their bodies when threatened. 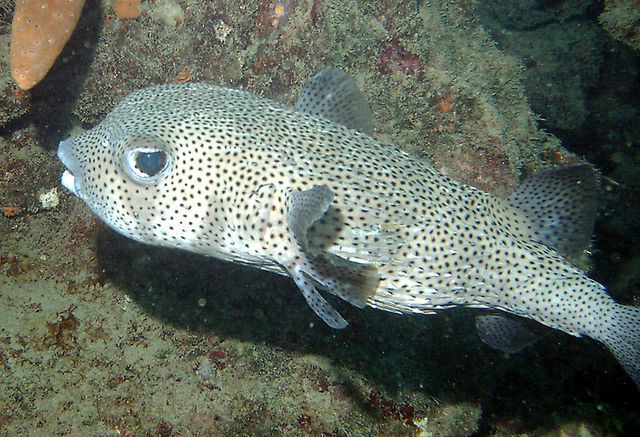 I just saw some soursop fish for the first time on the North Coast of Trelawny, Jamaica. I like. Saw one in Dec 2016 at Half Moon Beach in Hanover Jamaica! Isn't this fish totally poisonous ? saw a dead one on the beach in Bayahibe Dominican Rep a few days ago.